Other response letters are here including pushback from the Ca. Dept of Fish and Wildlife and the Center for Biological Diversity. Dave Phinney has sent the letter below announcing that the EIR that has been in process for the last year for the development of the Bloodlines Wine properties on the Rector plateau will be ready for comments in late November. Please allow me a few minutes to tell you about a project that my team and I have been working on since 1998. Over the past 20 years we have purchased 278 acres at the top of Soda Canyon Road with the vision of planting and farming a vineyard. 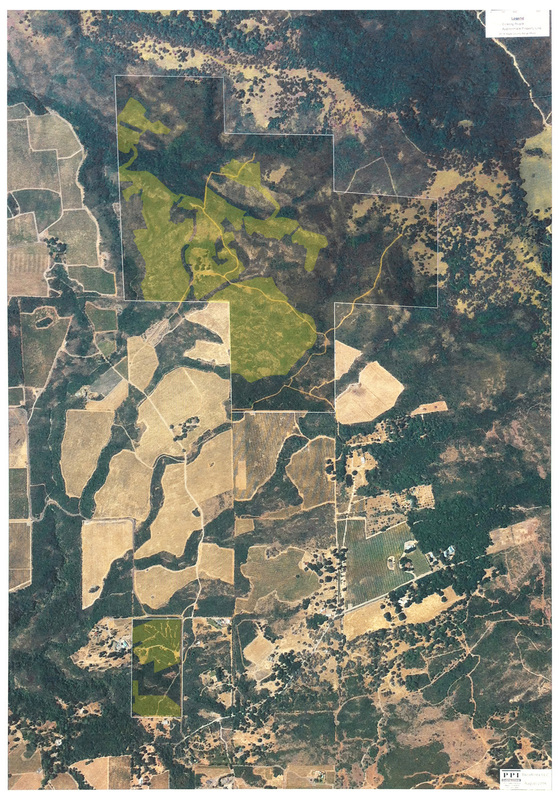 These nine parcels lie in the Agricultural Watershed in this beloved Right to Farm community, our Napa Valley. Rather than rushing to plant a vineyard as quickly as possible, we have taken our time. We have spoken with people who have farmed in the area, purchased fruit from adjacent vineyards, talked with neighbors, leased with the intention of eventually purchasing an adjacent vineyard, and have asked questions with open ears and an open heart. A team of expert engineers, biologists, hydrogeologists, archaeologists, geologists, soil scientists, and viticulturists spent five years designing a very unique vineyard. Rather than simply submitting an Erosion Control Plan application to the County of Napa, we voluntarily agreed from the beginning of the process to conduct an Environmental Impact Report to analyze and mitigate all impacts the vineyard may have to our community. This gave us confidence that all Conservation Regulations and mandates of the California Environmental Quality Act were not only followed but exceeded in the Erosion Control Plan application. The engineering firm designed the vineyard to result in net zero sediment runoff, protecting the watershed from erosion. Since those calculations, the property completely burned in the 2017 wildfires, and an engineered vineyard planting will greatly reduce erosion potential. We will take on the responsibility for providing safe and ecological transportation options for our employees to do our part in mitigating traffic. Our farming practices will follow an innovative Integrated Pest Management strategy. A hydrogeology team conducted a Water Availability Analysis and confirmed that there is more than enough water on the property to farm the acreage of vineyard in the application. We will not be applying for a winery permit at this location. We are currently working on plans to build a winery in an historic building that we are restoring on Mare Island in Solano County. My team is working with local Neighbors, Board of Supervisors, Mayors, City Council Members and Planning Commissioners and listening to any of their questions or concerns regarding our project. This communication has been valuable, and we are incorporating cooperative solutions into our plans. Each expert report, the Erosion Control Plan, and the Environmental Impact Report will be available for your review at the County’s website (https://www.countyofnapa.org/694/Bloodlines-LLC-Soda-Canyon-Vineyard). The official County Public Comment Period will start in mid to late November. If you have any questions or input regarding the application prior to that time, I invite you to contact me directly. My team and I value the opportunity to hear what is important to you. According to this NVR article, Dave Phinney has contributed $25,000 to the NO on C campaign, the largest amount after the NVV's $200,000. Several residents of Soda Canyon Road accepted an invitation for an August 26th, 2016 BBQ meet-and-greet over the pending Erosion Control Plan for 114 new acres of vines on 2 separated parcels on the Rector plateau. The ECP, processed initially under the company name of Orin Swift, will be vetted by a full blown Environmental Impact Report, with the draft version due in early 2017. The time line is here. With little previous interest in the world of high end wines, and knowing nothing about Orin Swift, the meet-and-greet has begun an interesting exploration. The invitation was in the name of the Phinney family, with an RSVP to Amy Whiteford. The vineyards are being developed by the former owner of Orin Swift Wine Cellars, Dave Phinney. Amy Whitehouse, is his viticulturist in their new company, following a similar stint at the Stagecoach vineyards. Although someone had mentioned something to me long ago about the buzzwortihyness of "The Prisoner" wine, which I understood after seeing the label, only now did I learn that Dave Phinney was the creator. And only after a bit of research after the BBQ have I begun to understand what a wine phenomenon this very youngish-looking man is. His story seems already, at least in my infinitesimal knowledge of the wine world, the stuff of legend. As summarized in this Wine Searcher article, Dave Phinney since 1998 has now developed two wine brands and sold them for a total of $325 million dollars. These wines were made from contract grapes in custom crush wineries. no land or construction investment necessary. It is the application of the tech startup model of ammassing a fortune. And it shows, while the wines are no doubt good, that in the real world, the business of wine (as with everything else) is all about the value of branding. The name of their new company is "Bloodlines". There should be a lesson here for all of those entrepreneurs claiming that they simply can't survive without tourists swarming their wineries. The Dave Phinney story shows that survival in the wine business, and in fact over-the-top success, can be achieved without the the threats that tourism urbanization poses to the long-term viability of an agricultural economy and a rural environment. Dave Phinney has purchased a significant chunk of the Rector watershed, and whatever he does will have an additional impact on our lives. The proposals talked about at the BBQ - conservation easements, worker van pooling, urban tasting rooms, a winery in Vallejo, alternative marketing and branding techniques, a​ desire to reach out to residents and to develop a charitable purpose to the business model - all point to an approach that is looking for success that is sustainable and beneficial with a minimal impact to the agricultural land and open space that is our home. The cloud in the narritave is that Mr. Phinney's considerable expertise and success seems to be in building up brand and then flipping it. What development limits is he willing to place not just on himself, but on the potential next owner of the property? We hope those limits will be known by the time the EIR is completed. There is another small cloud as well: currently, 46 people have written letters to the planning commission opposing the Mountain Peak Winery project on the Rector plateau. 6 people have written letters of support. 5 of the supporters are people with a financial interest in increased development of the watershed, development of more tourism on the road, or direct contracting with Mountain Peak. Mr. Phinney is among them. 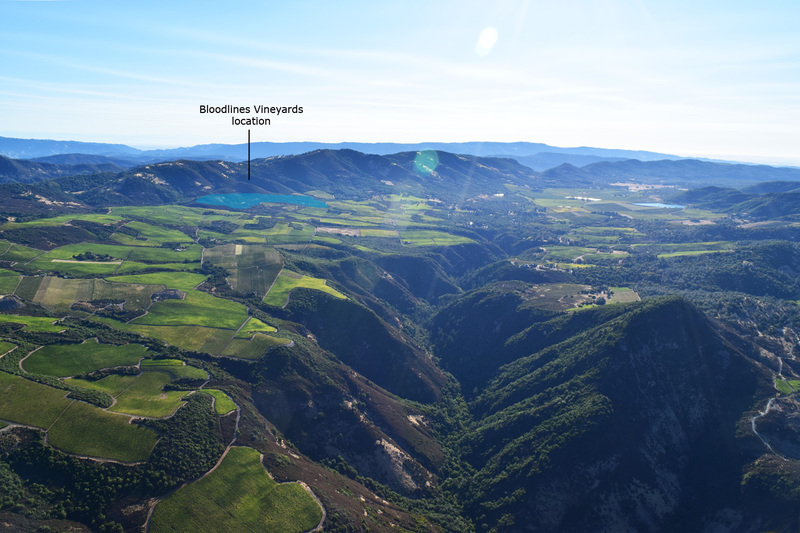 Opposition to Mountain Peak is not about the responsible development of more vines here; the time to prevent the Rector watershed from being consumed by vineyards is long gone. The concern now is about the use of this remote residential-agricultural community as a tourist destination. Mr. Phinney's support of the Mountain Peak project does raise questions about where his interests will lie once his vineyards are in place.